How can we be our strongest selves in life's most challenging situations? We often approach these situations - job interviews, difficult conversations, speaking up for ourselves - with anxiety and leave them with regret. Moments that require us to be genuine and powerful instead cause us to feel phoney and powerless, preventing us from being our best selves. 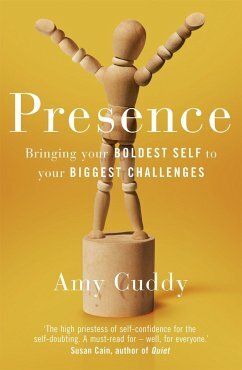 Harvard professor Amy Cuddy shows us we need to stop worrying about the impression we're making on others, and instead change the impression we're making on ourselves. Cutting-edge science reveals that if we adopt behaviours reflecting power and strength, we liberate ourselves from the fears and doubts that obstruct us. By redirecting our thoughts, actions, and even physiology, we free ourselves to be our best. 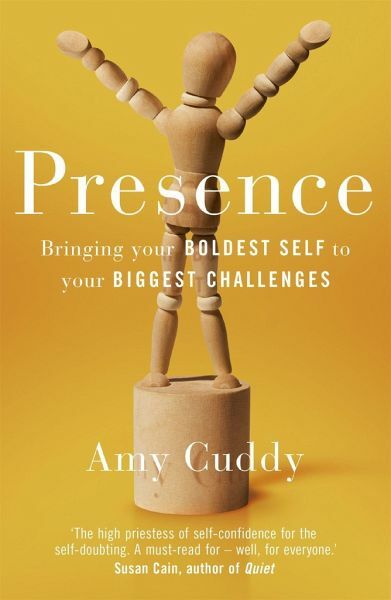 Amy Cuddy galvanised viewers around the world with her TED talk on 'power poses'. Now she explains the science underlying these and many other fascinating body-mind effects, and teaches us how to use this science to become self-assured in high-pressure moments. Impassioned, beautifully researched, and accessible, PRESENCE is filled with stories of individuals facing real obstacles, and succeeding against the odds. Every reader will learn how to approach stress-filled challenges without fear and leave them without regret. Amy Cuddy is a professor and researcher at Harvard Business School who studies how nonverbal behavior and snap judgements affect people. Her research has been published in top academic journals and covered by NPR, NEW YORK TIMES, WIRED, FAST COMPANY, and more. Cuddy has been named a 'Game Changer' by TIME, one of '50 Women Who Are Changing the World' by BUSINESS INSIDER, and a 'Young Global Leader' by the World Economic Forum. Her 2012 TEDTalk is the second most-viewed talk in TED's history.